Living the low carb lifestyle and need an easy side dish? 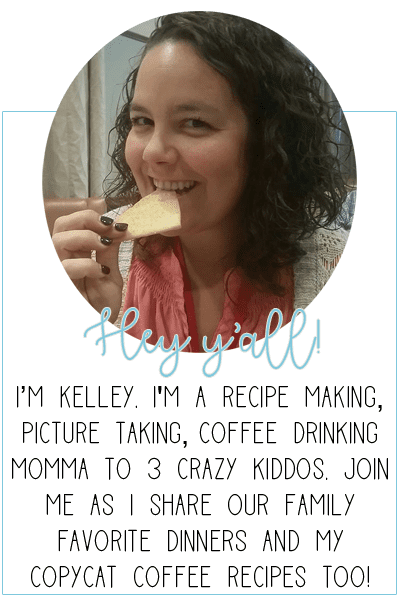 I’ve got a great recipe for you! It’s quick and full of flavor and you won’t even miss the carbs. Even if you aren’t low carb, this recipe will surely become a family favorite. Let me show you how to make it. It seems like cauliflower has exploded in the last couple of months. People who follow a low carb diet are praising it as a great alternative to carb loaded breads, pastas and sides. It’s even replaced mashed potatoes! I have to admit, I wasn’t quick to jump on the cauliflower band wagon. It took me awhile to fully embrace the vegetable in my life. I started small with some cauliflower mashed potatoes and even added some riced cauliflower to my broccoli soup. The more we ate it, the more I loved how versatile it was in my cooking. The true test came with the loaded cauliflower bake. Could it truly replace au gratin potatoes or cheesy rice? Let me tell you – it sure can! 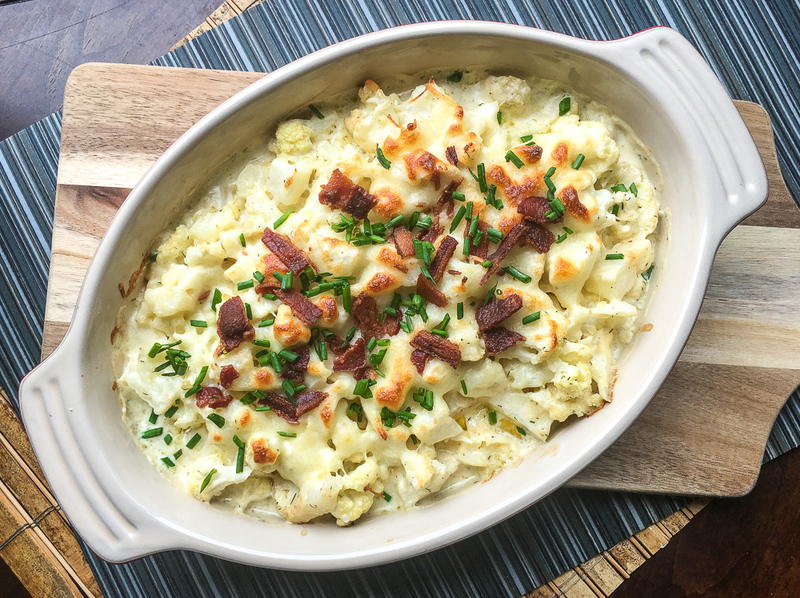 This loaded cauliflower bake is an easy side dish that can replace carb laden dishes such as loaded mashed potatoes and cheesy rice. If you follow the Keto diet or a low carb lifestyle, this side will fit right in. One serving is 4 net carbs! It’s also a great gluten free side as well. You only need 10 simple ingredients to make this loaded cauliflower bake, 4 of them being herbs or spices. It comes together in under 30 minutes and can be ready just in time for dinner. To start you will need 4 cups of cauliflower florets. That equates to one large head of cauliflower. If you can only find smaller cauliflower, grab two to ensure that you have enough. When it comes to the dairy, you will need butter, cream cheese, heavy cream and cheese. Use an unsalted butter if you plan to add salt in your bake. If not, salted butter is a good option. You can use any kind of cream cheese and heavy cream – it will all bake the same. For the cheese, I like an Italian blend, but mozzarella, Colby or even cheddar work well. You can use any kind of bacon here as well. I prefer a good thick cut bacon, because, bacon but any kind you have on hand or buy is great. Just be sure to drain and dry it before adding it to the loaded cauliflower bake. The spices that I prefer in this gluten free side are garlic, dill, salt and pepper and chives. You can add in your favorite spices and fresh herbs as well. My homemade Italian seasoning would go good here too! Use what you like and customize this easy side! After you gather your ingredients, you will also need to grab a large pot, baking dish, a streamer basket and a large bowl to mix everything together. You will also need a spatula or spoon to mix everything together. A steamer basket is not an absolute necessity but it does help a bit. Preheat your oven to 400 degrees F. Start by steaming your cauliflower until fork tender, about 5-7 minutes. If you don’t have a steamer basket, place the water in a large pot and then drain the cooked cauliflower into a strainer. In your large bowl mix together all of your ingredients except the Italian cheese and the chives. Toss everything in the bowl and make sure everything is coated well. Transfer it to your baking dish. You can spray it with cooking spray before, if desired. Cover the cauliflower mixture with your cheese and bake for 8-10 minutes, uncovered. Remove from the oven, add your fresh chives or herb of choice. Allow to cool and enjoy! An easy side dish that is Keto and low carb friendly! Place the cauliflower in a steamer basket on top of a pot with boiling water and steam until fork-tender, around 6-7 minutes. Remove from heat and transfer cauliflower into a cold water bath to prevent further cooking. Transfer steamed cauliflower to a large bowl and add cream cheese, heavy cream, butter, garlic powder, and dried dill. Season with salt and black pepper, to taste, and toss to combine. Transfer to oven-safe casserole dish and top with shredded cheese blend and crumbled bacon. Place in pre-heated oven and roast until cheese is melted and nicely browned on top, around 8-10 minutes. This is such a great recipe! The flavor combo is perfection! Absolutely! Can’t go wrong when it’s covered in bacon and cheese! Love this for a simple side dish! Same! It comes together super quick! 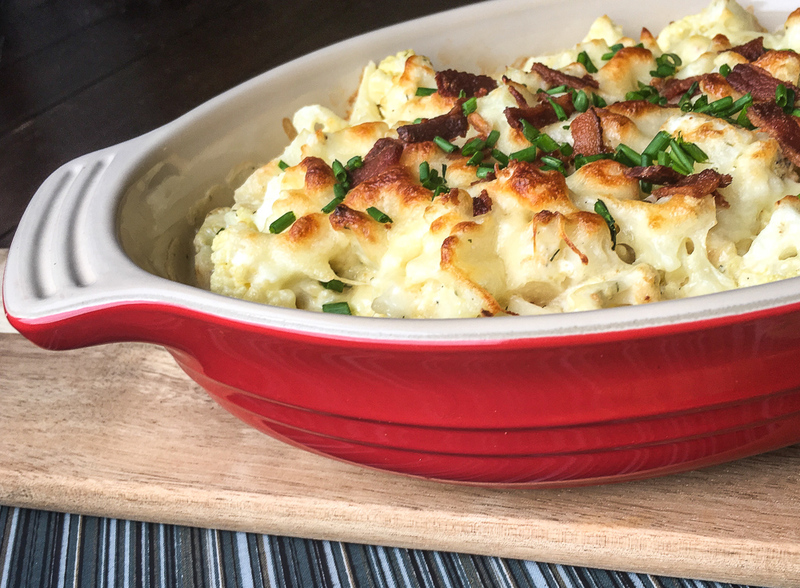 I’m a cauliflower fan and your recipe proves once again how versatile, tasty and healthy this vegetable is! I’ve tried your recipe, yummy indeed! 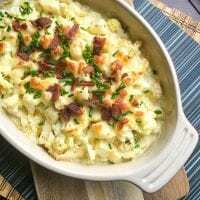 The cauliflower bake looks so creamy and delicious perfect for dinner table. Thank you! It sure is a great addition to any meal.